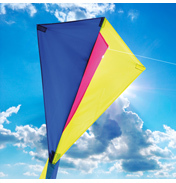 Kites are thought to have been invented during the 5th century BC by the famous Chinese philosophers Lu Ban and Mozi. Over the Chinese history they have had many uses. 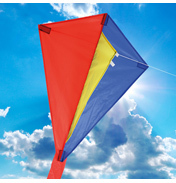 In 549 AD it was recorded that paper kites were flown containing messages for a rescue mission. 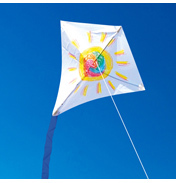 They have also been known to use them for testing the wind, communication and measuring distances. 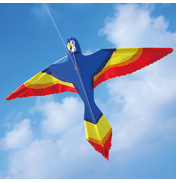 The introduction of airplanes reduced the interest in kite flying for scientific purposes and in modern culture the uses for them are generally for sport and fun! 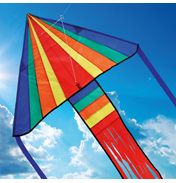 Kiting is a great way to get the children out doors and create endless fun for adults too! 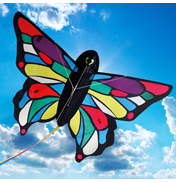 Here at WWSM we have a huge variety of fun and quirky kites such as the buzzer bee and giant butterfly. 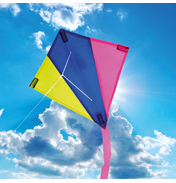 These colourful creatures are sure to brighten up the skies! Have you ever noticed Chinese lanterns in the night sky before? Well we stock them too! They are a great way to celebrate birthdays, weddings and all sorts of special events. Watch as your lantern slowly drifts up to 1000 metres and disappear into the night sky!